Saddle-Stitching is a soft-cover binding option that involves attaching the contents of a printed document to the cover with staples. 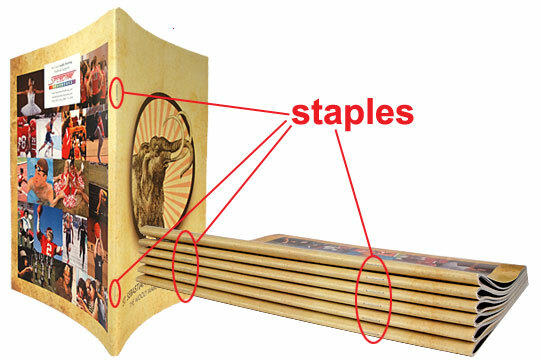 The contents and cover are then folded around the staples to make a booklet that can open completely flat. As a result, the cover has no spine area. 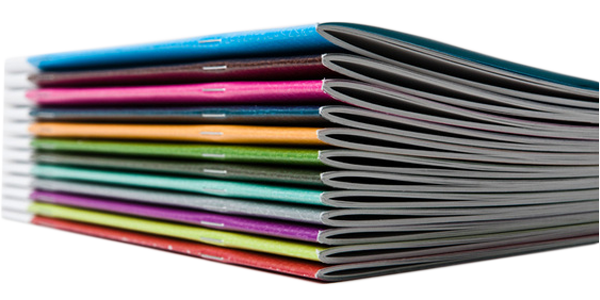 Saddle Stitching allows for printing full color photographs and designs on our super-smooth, heavy-weight card stock wrap-around cover. The document has to be printed in signatures and nested. But you don’t need to worry about all that. Just provide your document in a PDF file, and we’ll take care of the rest. 100 page limit for Saddle-Stitched documents printed on 80lb Gloss paper. 100 page limit for Saddle-Stitched documents printed on 20lb bond paper.